The Hick's Fix: Check Out My Latest Find! 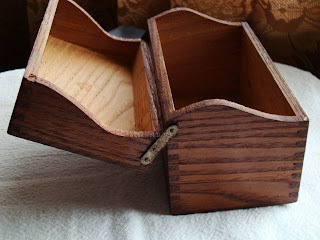 I've been looking for a vintage recipe box for a couple of years and I finally found it! 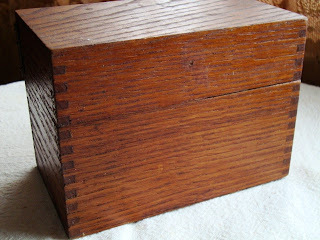 I LOVE the simple lines and the dovetail joints! I'm also going to add a bunch of faves from my mom and me so I can pass down all these wonderful recipes to my daughter, her daughter, and on and on. I found this little gem over at my friends shop, Little Cabin Vintage. If you love vintage items, she has the best on Etsy! Check her out!